The winning author with Horizons representatives. 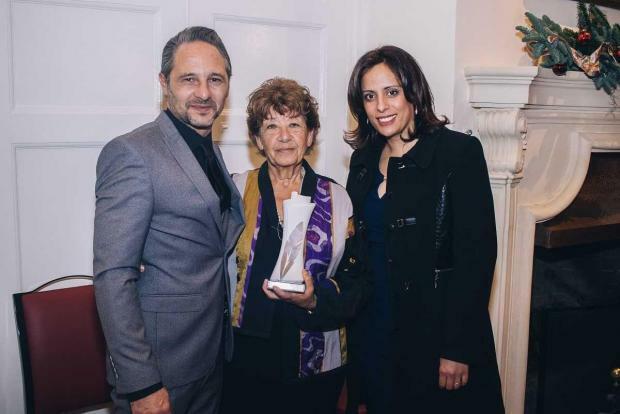 An Australian lady of Maltese origin, Lou Drofenik, has won the National Book Prize for novels in Maltese and English category, with an English novel The Confectioner’s Daughter, published by Horizons. The 2017 edition of the National Book Prize organized by the National Book Council saw the prestigious Lifetime Achievement Award bestowed on Victor Fenech. The adjudication board comprised Yosanne Vella, Mario Ellul and Godfrey Baldacchino for the category ‘general research’, Andrè Vella Laurenti, Rueben Zammit and Claudine Borg for the categories ‘novels in Maltese and English’, ‘short stories in Maltese and English’ and ‘poetry in Maltese and English’. 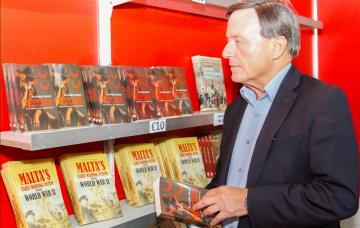 Alfred Sant won the short story category.